If you love the tiny critter-raising side game that’s been showing up in Sonic the Hedgehog games on and off since Sonic Adventure on the Dreamcast, you’re in for a treat. Sonic fan game maker Nefault1st just released Chao Resort Island, and it’s all about raising and racing those adorable little scamps. 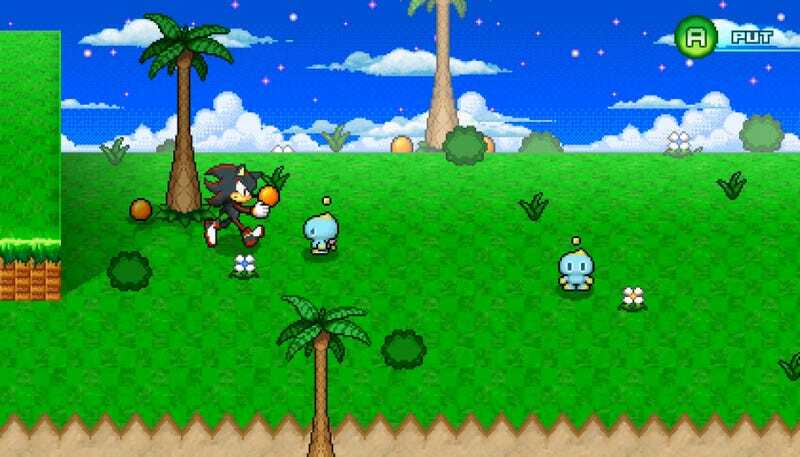 Available as a free download for PC and Mac, Chao Resort Island is a game that lets players take on the role of Sonic or his friends Shadow and Knuckles as they take care of a cadre of Chao. Players pet, feed and nurture their pets, purchasing them stat-enhancing fruit and wearables while pitting them against other Chao in feats of power, flying, swimming, running and more. Here’s an example of a foot race from the game’s official Twitter. Players are in charge of giving the Chao an extra boost at the cost of stamina during races, but otherwise it’s up to the critters to win the day. Nefault1st, AKA Nekko, built the game from scratch, and it’s a pretty impressive piece of work. There are multiple characters, different Chao types with varying personalities, and a couple of different Chao gardens to unlock. Nekko even did the music, which is darn catchy. Want to give making your Chao garden grow a go? You can download the game for free at the official website.